In 1986, very early in the camouflage revolution, Bill Jordan decided to try his hand at designing a camo pattern. Bill had entered the hunting industry in 1983, when he started Spartan Archery Products in a back room of his father's boat dealership in Columbus, Georgia. Spartan manufactured t-shirts at a local mill, which were sold to a variety of large retail customers across the country. But the commodity garment trade was a tough, low-profit-margin business that depended on high volume—not easy for an established company and nearly impossible for a startup. Bill was pinching pennies and fishing bass tournaments on the side to create income. Meanwhile, he was constantly searching for ways to separate his company from the crowd. And that is how Bill came to be sitting in his parents' front yard one day in 1986, with paper and colored pencils, sketching and coloring the bark of a giant oak tree that grew there. Bill believed that by layering the images of twigs and leaves over a vertical bark background, he could create a three-dimensional appearance that would match a variety of terrain—and make his pattern distinct. Using local mills, Bill navigated the printing process until he finally had a set of camouflage clothing to photograph. Always the promoter, Bill began to photograph the garments on bowhunters in tree stands. Every month for about eight months, he sent the images to hunting clothing buyers across the nation. But Bill couldn't send sample garments, because the camo was doing too good a job disappearing. "We couldn't get the pattern to stay on the pants," he remembers. "It rubbed off. I had only one suit and no additional fabric, so I kept sending photos." When December rolled around, the buyers were clamoring for garments. "I didn't have any garments," Bill recalls. "But I couldn’t tell them that, so I just sent them some more photos." The problem would be resolved, but with no time to spare. Bill had begun working with Eastbank Textiles, and they met the printing challenge just one week before the Shooting, Hunting, Outdoor Trade (SHOT) Show. At last, Bill was on his way home with about 30 yards of the printed fabric to be made into garments for the show. But the airline sent the box of fabric to Columbus, Ohio, instead of Columbus, Georgia. "I finally got the fabric on Monday, and the show started that Thursday," says Bill. "I rushed it to the manufacturer and they made the basic garments by Wednesday morning. I had naked mannequins waiting at the SHOT Show, and I was sitting in Columbus waiting to get pants sewn." That afternoon, Bill flew out for the SHOT Show. "There we were, dressing mannequins at midnight, the night before the show started," Bill recalls. "The anxiety at that point was unbelievable. I had no credibility in this business, and there I was—after teasing all these buyers—dressing my mannequins with the only garments I had in the whole world, just hours before the show started. I had no manufacturer making this clothing—just Spartan, and Spartan had no money. I couldn't even have sold to the first retailer if I had wanted to. I had no licensing agreements to work with and no real idea what I was going to do next. I only knew I had a few pieces of clothing, a twenty-by-twenty-foot booth, and hopefully some very influential people stopping by to see me." "On the opening morning of the show, at 9:30, here came the Bass Pro Shops buyer. Ten minutes later, the Oshman's buyer walked into the booth. After another ten minutes, here came the Wal-Mart buyer. I had all three of them in the booth at the same time. I was thinking, 'Now what am I going to do?'" When Wally Switzer from Wal-Mart asked Bill if he would be able to make the garments to fill their orders, Bill admitted he could never begin to handle the orders. It takes a lot of money to fire up a clothing manufacturing business, and Bill was out of cash. Wally told Bill that Wal-Mart had a company called Walls that made some of their hunting clothing. The Bass Pro buyer said the same thing, and so did the Oshman's buyer. The name Walls kept coming up. "Then they asked me, 'Who's your hat company? Who's your glove company?'" says Bill. "I said, 'Hmmm, I don't know, who do you want it to be?'" The three of them stayed in Realtree's booth for a long time that morning, talking with Bill and asking questions. Finally Wally Switzer left and returned with his contact from Walls. Walls wanted to buy the fabric from Eastbank Textiles, manufacture the garments with it, and then see how well they sold. That's when licensing was born. Eastbank Textiles had been responsible for finding a successful printing process, so that company became Bill Jordan's first licensee. Eastbank Textiles paid the license fee on each yard of fabric and passed the cost on to the manufacturer. At that time, no one really knew how to set up such an agreement, so that first contract that Bill hammered out with Eastbank Textiles became the model for all the licensing agreements he has made since. As a humorous aside, Spartan-Realtree Products (the company's new name) couldn't afford to pay for the entire 20-by-20-foot SHOT Show booth that year, so Bill had worked it out so that he could pay half up front and the rest on arrival. Representatives from the SHOT Show stopped by the booth several times during show hours to collect, but each time, Bill was conveniently gone. Bill didn't have the money to pay them, so he ducked out the back of the booth whenever one of his employees saw the officials stalking down the hallway. But at the end of the show, Bill finally found a way to pay his obligation. There are dozens of stories like this, because much of Realtree's early growth was financed on a shoestring budget. In fact, the company's first facility was a rented empty church. Bill and two or three employees worked in the upstairs office, they stored boxes in the baptismal room, and the sanctuary was the company's first warehouse. But those were exciting times, and each small success was celebrated by the entire staff. Early in the licensing process, Bill realized that promotion of the camouflage pattern was important to his company's success. He also knew that manufacturers would only promote their own garments, and wouldn't care which camouflage pattern was on them. It became clear that Bill would have to do all the promotion himself in order to create demand for the pattern. So he poured his efforts and meager finances into every possible avenue that could create positive publicity for Realtree ®. In many ways, he became a pioneer in the way products are promoted in the outdoor industry. That early business risk paid off. As a result, vision has become Bill's greatest attribute and promotion his company's greatest strength. Since that fledgling start in the late 1980s, Realtree has steadily grown to become a household name and one of the strongest brands in the hunting industry. Bill Jordan has never stopped innovating. Today's camo designs are created using sophisticated computers, digital cameras, and photo-realistic printing. Realtree stays at the forefront of the latest developments in fabric design and printing in order to advise customers (licensees who pay a royalty fee to use the camo patterns) about the best ways to maintain quality and performance. Today, Realtree employs more than 80 people in Columbus, Georgia, and also has operations in Europe. 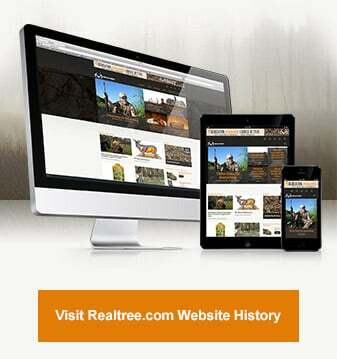 And from that first licensee in 1986, the Realtree business has grown to include more than 1,500 licensees.